SAN DIEGO, Calif. — Swisse Wellness announces its position as No. 1 in the vitamin and supplement category, advancing from its previous position as Australia’s No. 1 multivitamin brand. Currently available in nine countries, Swisse Wellness also is known as China’s No. 1 online vitamin brand, Singapore’s No. 2 multivitamin brand, and New Zealand’s No. 1 multivitamin brand. For over 40 years, Swisse has prided itself on having the most stringent development and manufacturing standards to produce scientifically validated products that assist in maintaining optimal health and well-being. Swisse’s premium quality supplements are made from natural ingredients sourced around the world, including globe artichokes from Spain, blood oranges from Sicily and cranberries from Massachusetts. The full range of Swisse’s products is formulated to support optimal health and well-being through all stages of life. 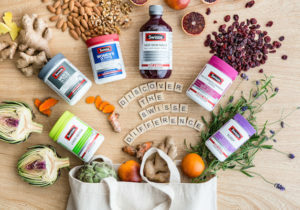 Swisse multivitamins and supplements currently available for purchase in the U.S. include Women’s, Children’s and Men’s Ultivites, along with the following range of Ultiboosts: Hair Skin Nails Liquid, Hair Skin Nails +, Sleep, Liver Detox, Glucosamine Sulfate, Co-Enzyme Q10, Chlorophyll Mixed Berry and Chlorophyll Spearmint, Prosate, Lecithin, Calcium + Vitamin D, Grape Seed, High Strength Cranberry. All products are available for online purchase via Amazon, Walgreens.com, iHerb and other leading online stores. For more detailed information on these products, please visit the Swisse products page. The post Swisse Wellness goes to the top of the charts in Australia appeared first on CDR – Chain Drug Review.